David Kleiler. She holds the 1999 edition of IMAGINE that has the IMAGINE staff at the time on the cover. Photo by Carolyn Ross. It’s in the air. Business is good and getting better. A new TV show is on its way and the pipeline is full through Spring of 2019. 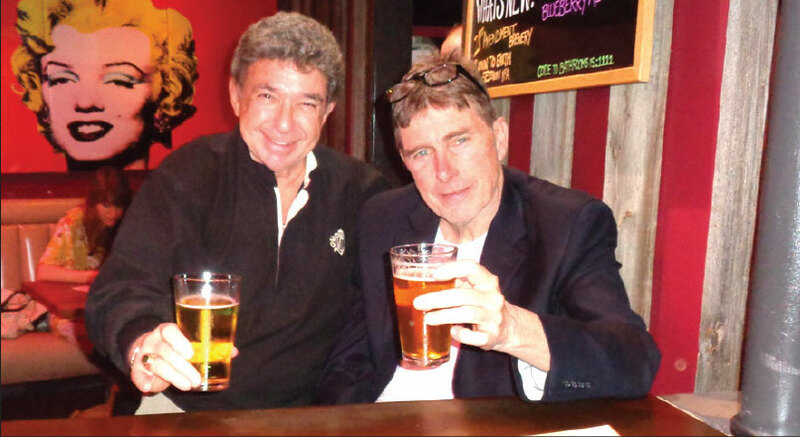 IMAGINE began its celebrations for its 20th Anniversary with a “Sliders for Everyone” party at the Best Burger Bar in Brookline with special guests New England film guru David Kleiler and filmmaker Johnny Hickey (see his story in this issue). 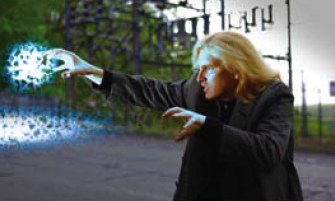 We took a look back at our IMAGINE first anniversary edition in 1999, which showed David on the cover with our staff at the time. For several years David Kleiler wrote “Establishing Shot,” for IMAGINE. His column about independent film and filmmakers in our region and his thoughts on all matters as they relate to film – his obsession. He’s been a film professor, script consultant, producing consultant and film festival director. His company Local Sightings has been committed to supporting independent filmmakers and the independent film community at large by offering a wide variety of services that help projects get made, sold, and seen. 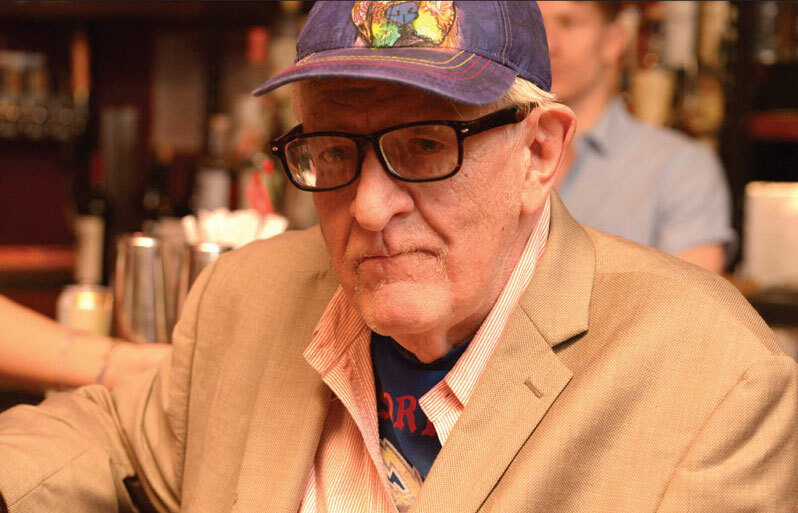 David spearheaded a movement to raise money to save the Coolidge Corner Theatre from closing. David Kleiler cut a celluloid ribbon to reopen the Coolidge Corner Theatre in 1989, which he would then oversee until 1993. He founded the Boston Underground Film Festival and has programmed the Woods Hole Film Festival and contributed curating to many others. Attending film festivals and curating movies for friends in his own living room, a regular event he calls Salon Saloon, continues to fuel his passion for film. David’s son, Hollywood Director David Kleiler, Jr. will be in the Boston area this summer to work on his film about his dad: IN THE LIVING ROOM. And speaking of film festivals, New England has a summer of them, many of them previewed in this edition. I hope you enjoy our previews and hot picks. Each festival has a unique personality and character. Be sure to sample as many as you can. 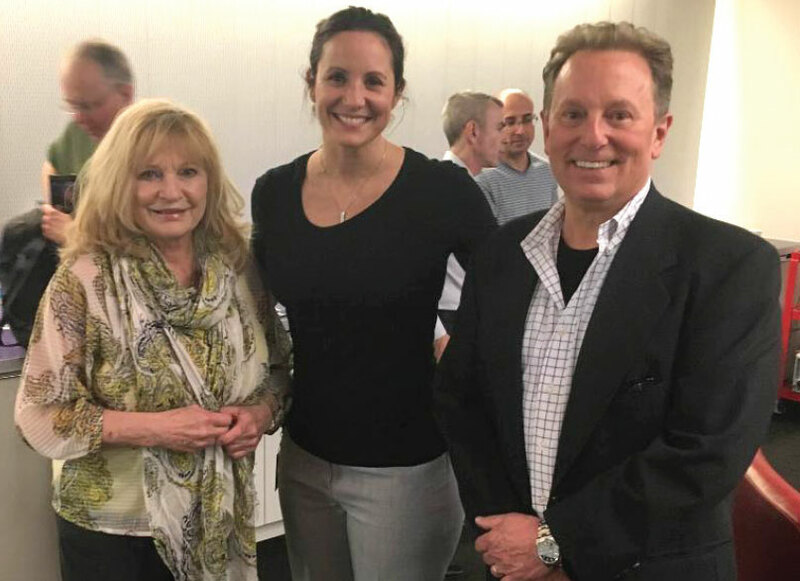 Ross, IMAGINE Director of Government Relations Ed Rae and IMAGINE Publisher Carol Patton at Wren Ross’ Success Network Voice Over Fair in May. Photo by Miranda Ellis. It’s been a busy spring with many industry events. 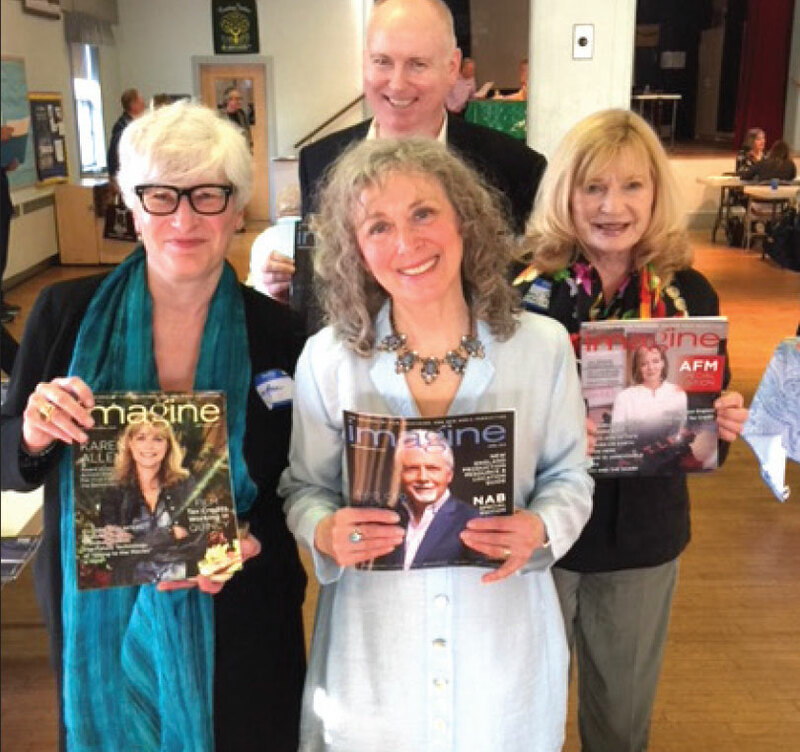 I attended Wren Ross’ Success Network Voice Over Fair in Waltham, Massachusetts. 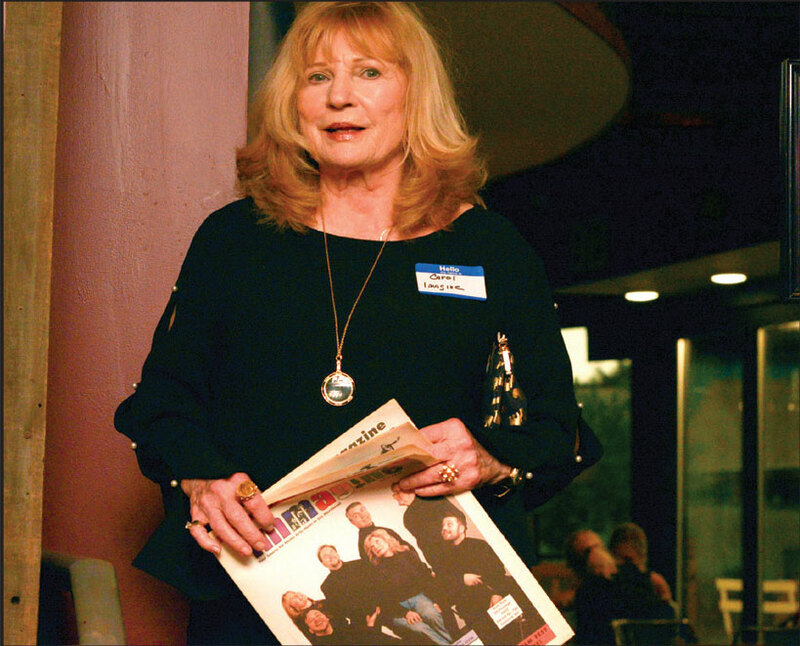 She invited local producers and past and present voice over students to audition for them. 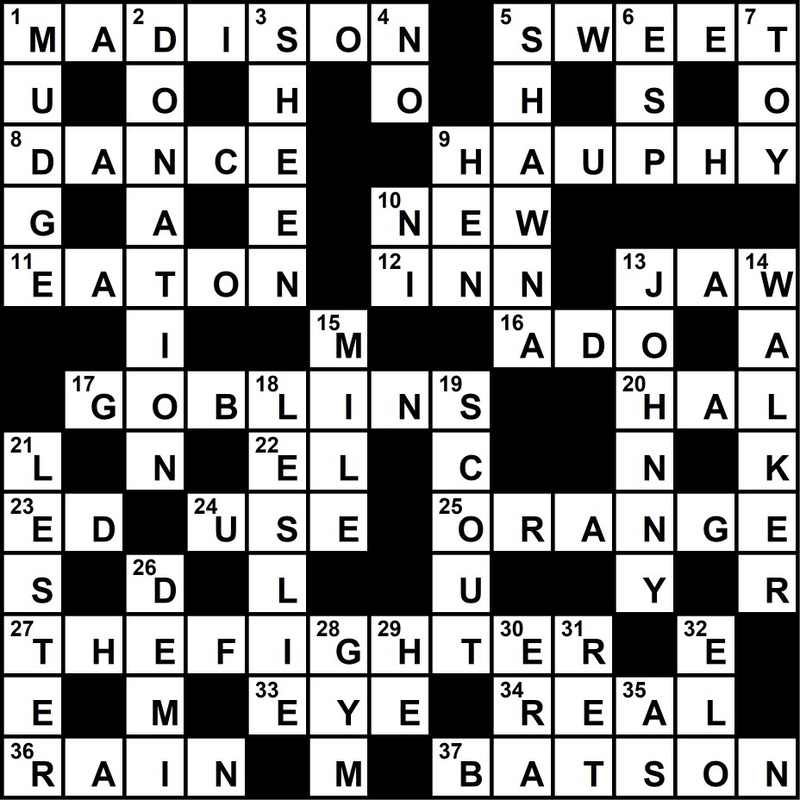 It’s a practice you can read about in this edition. Inspiring storytelling and conversation with Writer, Director, Producer Maria Agui Carter (REBEL), Director, Producer Heather Strain (SIGHTED EYES/FEELING HEART), Director Mary Mazzio (I AM JANE DOE), Costume Designer Virginia Johnson (PATRIOTS DAY) and Executive Producer, MullenLowe Mary Robinson engaged a standing room only MPC sponsored event at CIC Cambridge. Their stories were about pivotal moments and unique challenges that led them to accomplishments and new places in their work and careers. A panel moderated by Lisa Simmons, Executive Director of the Roxbury International Film Festival, engaged the appreciative audience. I was delighted to be invited by Bill Reinhart to the Boston Avid Users Group meeting that was held at Avid’s headquarters in Burlington, MA. The meeting was attended by Avid’s President and new CEO Jeff Rosica (see IMAGINE April 2018 cover story). 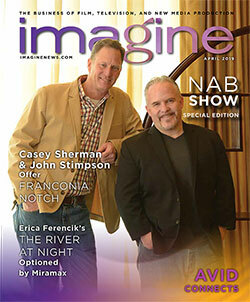 Avid’s post NAB presentation is covered in Steve McGrath’s article What’s New At Avid Technology in this issue. ETCHED IN GLASS: The Steve Ross Story director Roger Lyons, “From Broken Glass” co-author Brian Wallace with the books editor David Lamb and co-author Glenn Frank at the books launch at the Boston Athenaeum. Photo by Tony Bennis. Remarks by Boston Mayor Marty Walsh kicked off the book launch of “From Broken Glass: My Story of Finding Hope in Hitler’s Death Camps to Inspire a New Generation.” It’s Steve Ross’ story of surviving ten Nazi concentration camps – including Dachau. He became a licensed Psychologist for the City of Boston and conceived of and founded the New England Holocaust Memorial. As a truant officer in South Boston, Steve Ross inspired several young students to stay in school – one of those students is Brian Wallace who along with Glenn Frank authored this book. 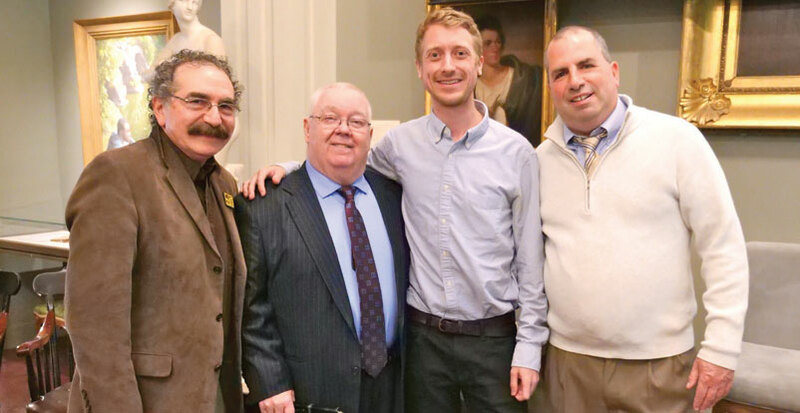 Wallace served as a Massachusetts state representative from 2003 – 2011 was an original, vital and indispensable supporter of Massachusetts Film Tax Credits (see IMAGINE Cover Story October 2002). 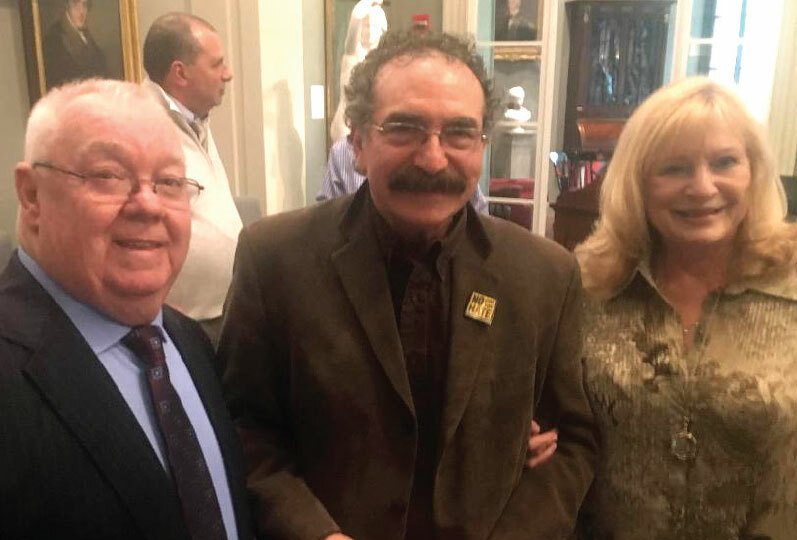 Writer and former Massachusetts Representative Brian Wallace, Writer, Director, Producer Roger Lyons and Carol Patton at the book launch of FROM BROKEN GLASS, written by Wallace and Glenn Frank. An IMAGINE Photo. 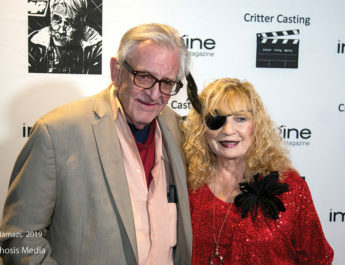 Also present was Writer, Producer, Director Roger Lyons. He released his Steve Ross documentary ETCHED IN GLASS to much acclaim earlier this year. The event was held at the Boston Athenaeum and extremely well attended. Combining the documentary, the book and workbook could become a powerful teaching tool about the Holocaust and the inspirational Steve Ross. 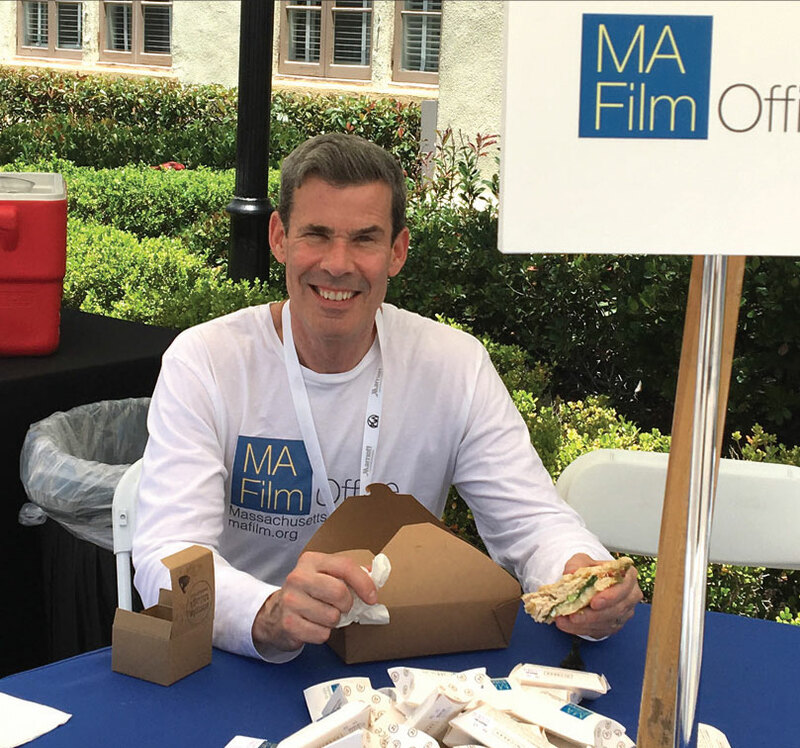 Tim Grafft, Deputy Director of the Massachusetts Film Office hosts the MFO booth at the Produced By Conference held at the Paramount lot. The Mass Film Office Executive Director Lisa Strout and Deputy Director Timothy Grafft (both IMAGINE “Imaginnaires”) have just returned from the Producers Guild of America Produced by Conference where they manned a booth for the Commonwealth. Paramount Pictures Studio lot hosted the event. Reaching across film, television and new media, the Produced By Conference is an educational forum conducted by acclaimed producers, including numerous Oscar and Emmy award winners, as well as the next generation of creative entrepreneurs. It is the only conference specifically created by producers, for producers. Cambridge, Massachusetts Academy Award winning filmmaker Errol Morris was a featured speaker. 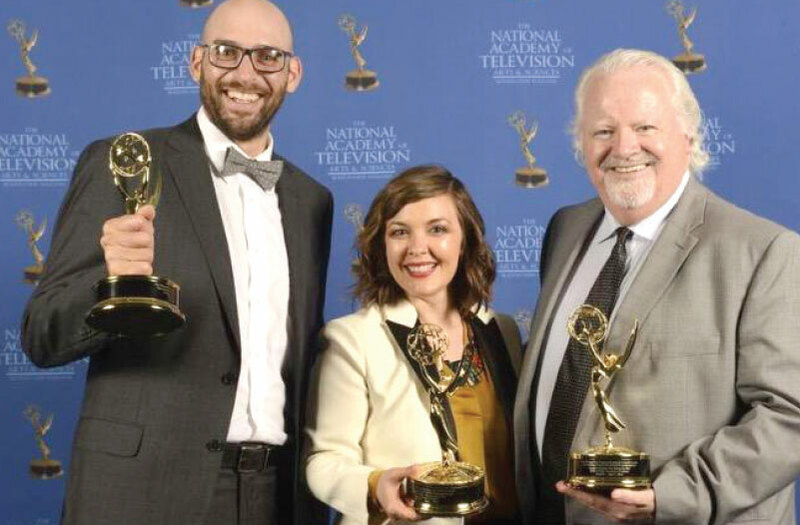 And speaking of Emmys, NewTV Producers Andrew Eldridge, Angela Harrer and Executive Producer Bob Kelly (who is also NewTV’s General Manager) won Emmys for their work on the best Historical/Cultural Program/Special “Assassin Nation: The Baltimore Plot”. I noted their table at the New England Emmy Awards included Actor and TV Show Host Jan Waldman was filled with fun and several Emmy Awards. 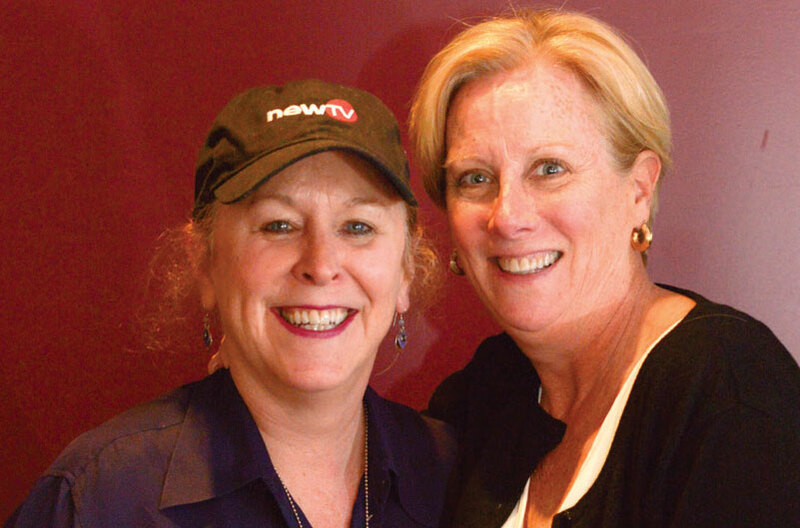 Another great year for NewTV! 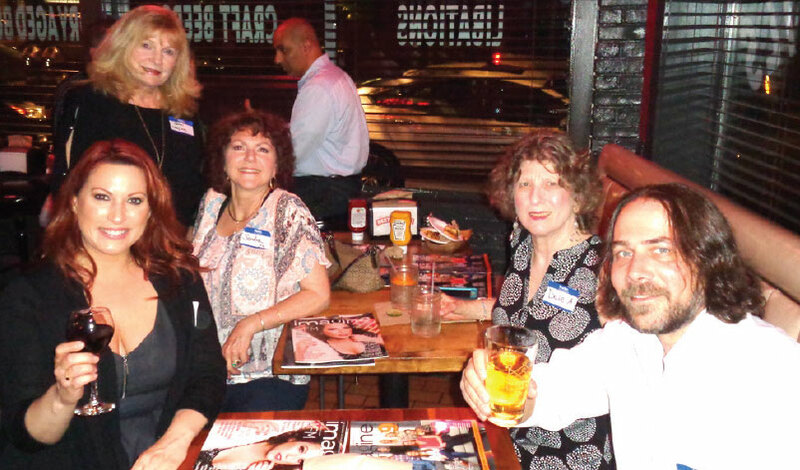 Carol Patton chats with IMAGINE party goers Michelle Romano, Sandra Shaw, Dale Appel and Michelle’s friend Corey. Photo Dennis Serpone. Noreen Moross, Head of NewTV’s Production Center posing for camera at IMAGINE’s first 20th Year Anniversary Party. 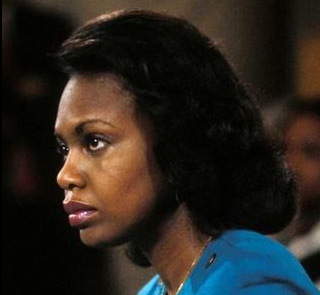 Photo Carolyn Ross. Enjoy your summer. Email your favorite high resolution photos with a good caption and photo credit to publisher@imaginenews.com for our end of summer pictorial review!